TK Product’s AK-2 is the contractors best choice for residential curing and sealing concrete application needs. Meeting ASTM C-1315 standards with 25% solids, this cure and seal agent can be applied to both interior and exterior surfaces including driveways, sidewalks, basement floors, pool, and patio decks and can also be implemented on brick and stone surfaces for maximum curing and protection. 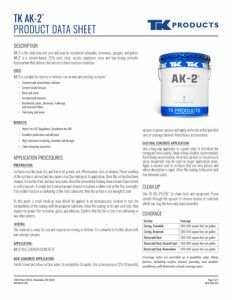 AK-2 is the ideal concrete cure and seal for residential sidewalks, driveways, garages, and patios. 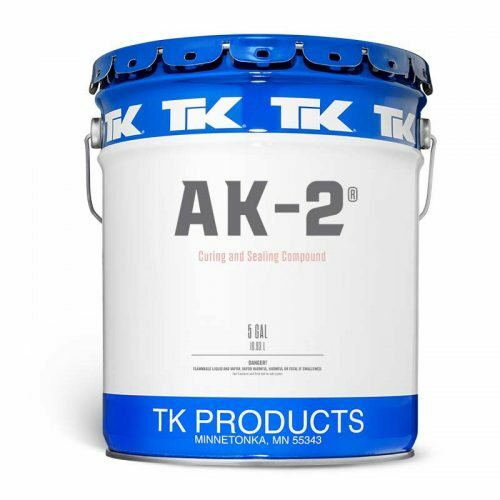 AK-2 is a solvent-based, 25% solid, clear, acrylic copolymer resin and fast-drying aromatic hydrocarbon that delivers the industry’s best moisture retention. 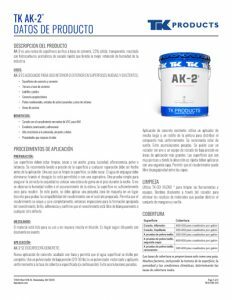 AK-2 Cure and Seal for Interior or Exterior Applications both New and existing Concrete. Surfaces must be clean, dry, and free of oil, grease, soil, efflorescence, dust, or laitance. Power washing of the surface is advised and any repairs must be made prior to application. Once the surface has been cleaned, it must be dried, and any rinse water should be removed by flushing down a drain (if permitted) or with a vacuum. A simple test to ensure proper dryness is to place a rubber mat on the floor overnight. If no visible moisture or darkening of the mat is observed, then the surface is dry enough to coat. 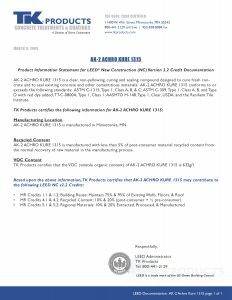 The material is ready for use and requires no mixing or dilution. 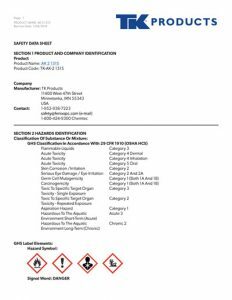 It is unlawful to further dilute with non-exempt solvents. Use a long nap applicator or a paint roller to distribute the compound more evenly. Back rolling is highly recommended. Avoid heavy accumulation. 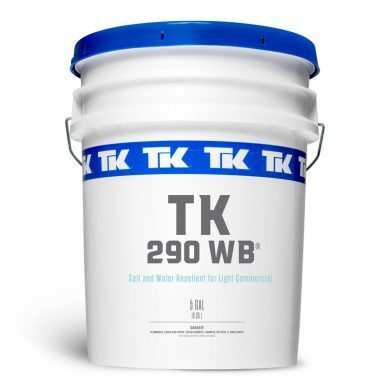 An airless sprayer or low pressure spray equipment may be used on larger application areas. Apply a second coat to surfaces that are very porous and where absorption is rapid. 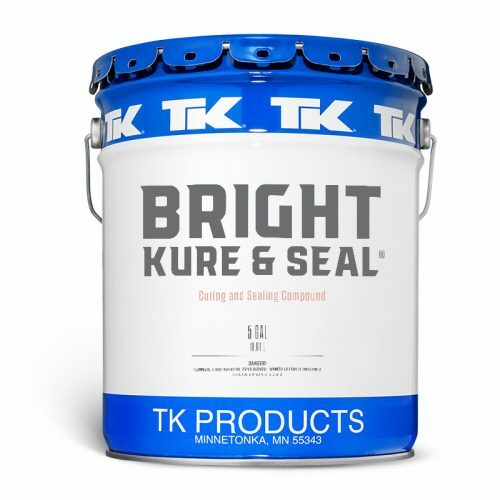 Allow the coating to become tack-free between coats. A clear, methacrylate/acrylic copolymer resin blended with a fast-drying aromatic hydrocarbon.